This month sees Frieze London take place in Regent’s Park, from 14–17 October. It will feature 164 galleries from 27 countries as well as a new ‘Live’ section dedicated to pivotal performance art. For her part in the fair’s curatorial programme, Jo oversees Europe, the Middle East and Russia. Back in London, she recently joined the council at the ICA. She also sits on the round circle for Crossrail, advising on major art commissions for its new rail stations. A world-renowned gallery with outposts in London, Zurich, Somerset, New York and also Los Angeles (opening next year), Hauser & Wirth’s exciting, high-concept stands at Frieze London and Frieze Masters are a testament to the gallery’s outstanding artists and curatorial intelligence. This month’s ‘field’ of 42 sculptures at Frieze London features Takesada Matsutani, Paul McCarthy and Louise Bourgeois, among many others. While at Frieze Masters, Hauser & Wirth is collaborating with the historical gallery Moretti Fine Art, for the first time, on an ambitious presentation. This explores the idea of an ideal collection – drawing together works spanning centuries – from 14th-century Italian panels to the likes of Henry Moore and Francis Picabia. Just stepping into Claridge’s is to enter an ambiance of luxury, style and calm. Its fabulous Art Deco charm – the interior was designed in the 1920s – has been tastefully updated with the interventions of subsequent designers, and it managers to feel both timeless and fresh. The themed decorations of the great Christmas tree every year in its lobby are such a treat. I can fully understand why many of Frieze’s international VIP guests won’t stay anywhere else when they visit London. Gucci is still the last word in chic, and I really admire the way it balances such incredibly rich heritage with an effortless ability to innovate. Within the space of a year, its new creative director Alessandro Michele has produced some incredibly inventive collections, which expand upon the label’s legacy. This makes Gucci an ideal partner for Frieze Masters, which frames the deep interconnection between the art of the past and the present. I am thrilled that Gucci’s support enables Frieze Masters Talks for 2015, which features contemporary artists such as Ellen Gallagher and Lawrence Weiner in conversation with the curators and directors of leading museums. They will be discussing the influence of historical art, as well as the likes of broadcaster Sir John Tusa and novelist Ali Smith. The Arts Club is brilliant because you can drop in anytime. It’s always comfortable, always elegant and always relaxed. There is no end of gorgeous art to see here. Frieze collaborates with the club on some of its programmed content. For example, recent talks by renowned collectors gave invaluable advice on how to start collecting. It is great to have a club of this standard so close to the gallery district and which also gives members and non-members such a unique insight into the art world. Mayfair is the destination choice for shopping and seeing art. I don’t think there’s anywhere else in the world you find these two things coalesce in this way, nor do I think anywhere else would be home to something as special as The Arts Club. This is – excuse the pun – a real bijoux place. The jewellery designs by Julia Muggenberg are often inspired by early modernist art movements, with motifs drawn from Bauhaus and constructivism. I love the way Julia brings her own wares together with contemporary art, ancient artefacts and furniture – it’s like a modern Wunderkammer. Her eye is so good. She was invited to exhibit at Nottingham Contemporary, where she showed items from her own collection. Muggenberg is an inspiring example of how collecting across periods and categories can be effortless and relevant. Like most luxury Italian menswear labels, Pal Zileri prides itself on its rich heritage and native, homespun fabrics. It has been defining casual and elegant wardrobe essentials since the 1980s and in July it showed its first ever runway show under new creative director Mauro Ravizza Krieger. Together with a newly revamped Bond Street flagship, change is afoot. 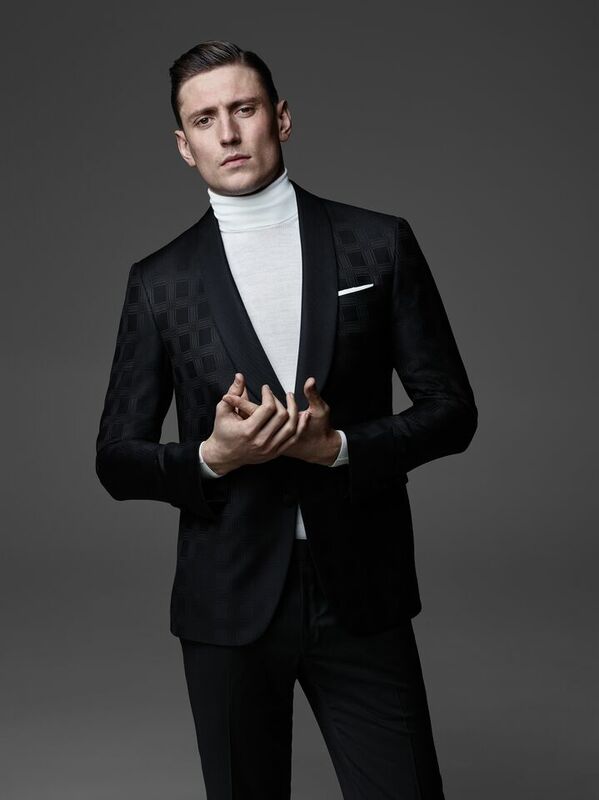 Below, Ravizza Krieger’s opines on taking the brand forward and the makings of a great suit. How are you making your mark on Pal Zileri? Since joining Pal Zileri, I have been involved in creating a new Pal Zileri identity and updating the brand’s DNA. This new direction – in the product, as well as the campaigns and brand message – follows a unique concept we call ‘Avant-Craft.’ It describes an experimental approach to a timeless tradition and is a synthesis of skilled craftsmanship, attention to detail and loyalty to the brand’s cultural roots. 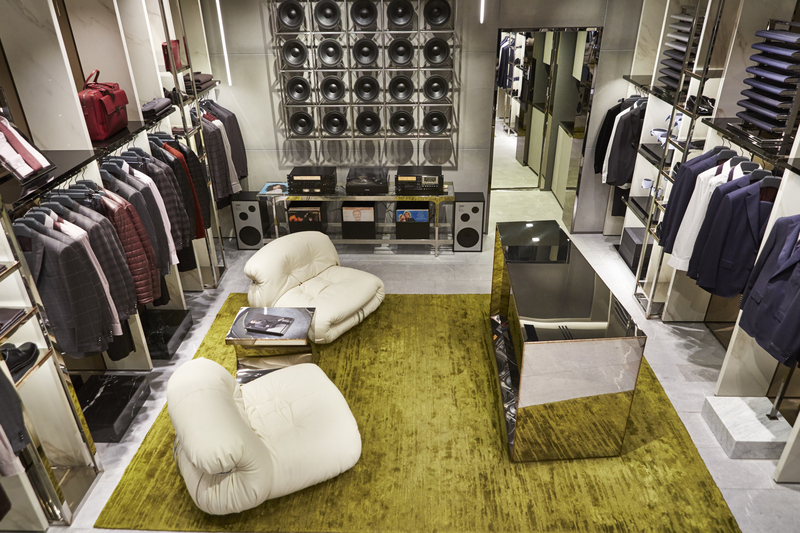 Tell us about the new look Bond Street store. We are delighted to be here in such an important neighbourhood for fashion. The repositioning and the opening of new stores in strategic locations in major cities around the world is a central issue in the rebranding strategy of Pal Zileri. In London, we were lucky enough to already have a great location. We only had to give the space a new ‘soul’ to reflect the new brand philosophy. An interesting ‘Made to Measure’ project and monogramming service on bags and other accessories will soon be implemented in all our flagship stores. How would you describe a contemporary Pal Zileri suit? Elegance and function are the keywords that describe a modern Pal Zileri suit. Proportions are classic but updated with clean lines and impeccable details. The silhouette is becoming more and more important. Our clients want to see their body shape shown in a modern way, that´s why we are working hard to create slim-fit shapes with softer fabrics. You have to feel comfortable in a suit and only then will it look chic and elegant. What can we expect to see in the Autumn/Winter 2015 collection? As previously mentioned, the brand is evolving and having somewhat of a rebirth. This season sees an innovative take on sartorial proportions and techniques, which are executed by the hands of Italian craftsmen. New pieces will maintain a classical, less formal, contemporary attitude. For autumn we have presented biker jackets, which can be worn over a tailored white shirt and parkas paired with a classic slim-fit suit. “Labels are not important but if you want to describe what I do, then say I am a fashion artist perhaps, or an artist who happens to work with fashion,” says Hussein Chalayan. There is no point even trying to pigeonhole a creative like Hussein Chalayan, when he can turn his artistic hand to pretty much anything. Fashion, art, film… And now he can add dance producer to his long list of achievements, when his first major work ‘Gravity Fatigue’ opens later this month at London’s Sadler’s Wells. He has also just opened his first ever store right in the heart of Mayfair, which may come as a surprise, but still, better late than never. Then again, Chalayan is no ordinary designer. 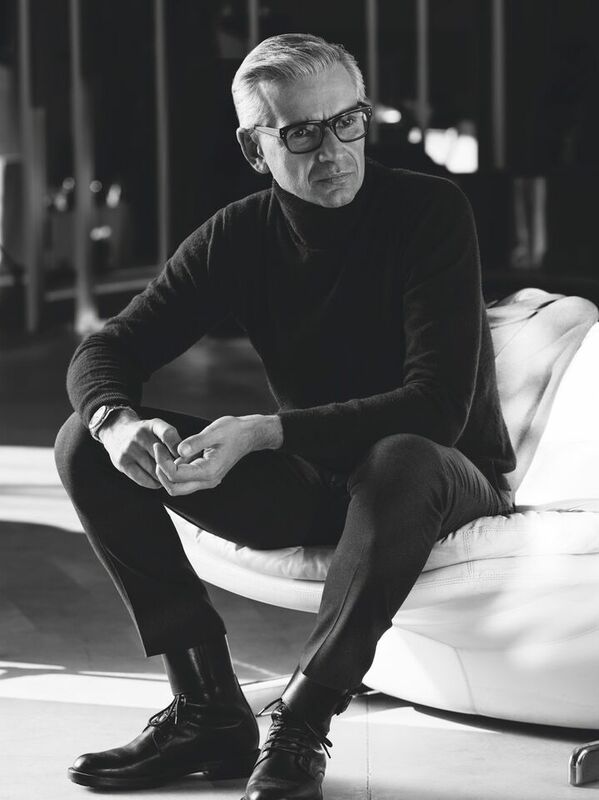 His conceptual approach to design is deep rooted in fashion, which underpins a career spanning over twenty years. Chalayan was first spotted by Joan Burstein of Browns, who in 1993, snapped up his Central Saint Martin’s degree collection to put in the windows of her South Molton Street store. Then as is now, his muted colours and abstract cuts were streaks ahead of the curve. 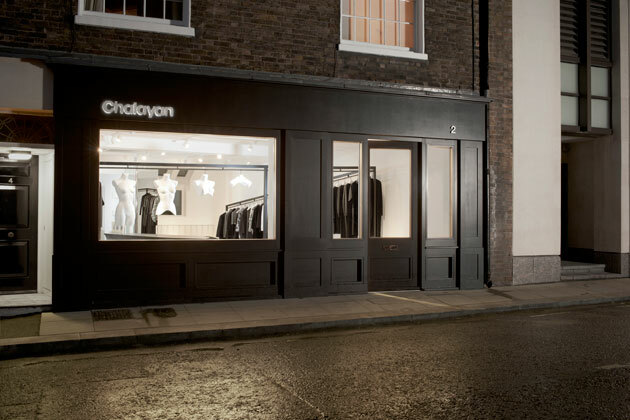 Last month, during London Fashion Week, Chalayan celebrated his 21st year with the launch of his first London store. Housed in an old mews building on the corner of Bourdon Street, this little corner of Mayfair, which nestles between Mount Street and Bond Street, is fast becoming a hub for the art world. The Gagosian Gallery for example sits opposite, while Phillips auction house and numerous other galleries are close by. 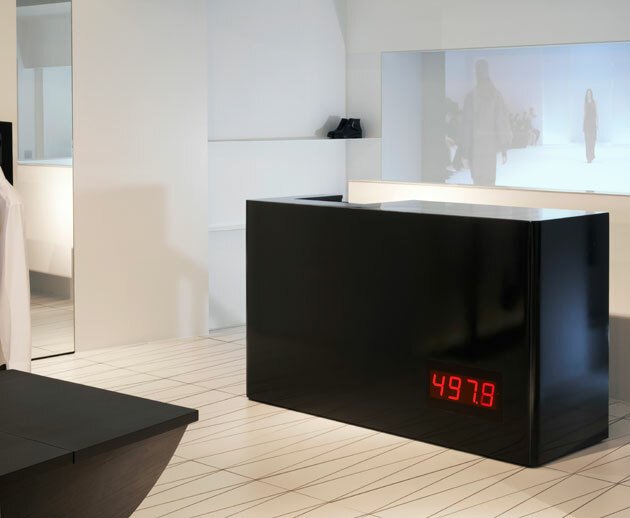 The store’s interior is the result of a creative exchange between Chalayan and Zoe Smith of ZCD Architects. 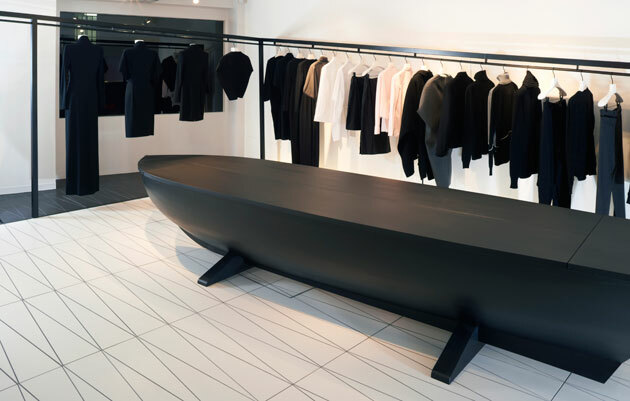 As for the design brief, Chalayan says: “The dialogue with Zoe Smith revolved around the creation of an environment, a backdrop, to the clothes rather than over-designing the space. The spatial design cannot wrestle with the content (clothes and other objects) for importance. Speaking of space, ‘Gravity Fatigue’, designed by Chalayan working with choreographer Damien Jalet, runs at Sadler’s Wells October 28-31st. It is Chalayan’s first major dance production and features a group of 13 dancers. What do you get when a historic French luxury goods house joins forces with a US technology giant? This year’s most-talked-about timepiece, the new Apple Watch Hermès. Each of the three strap designs – the single ‘tour’, cuff and ‘double tour’ – are handmade by artisans in France. 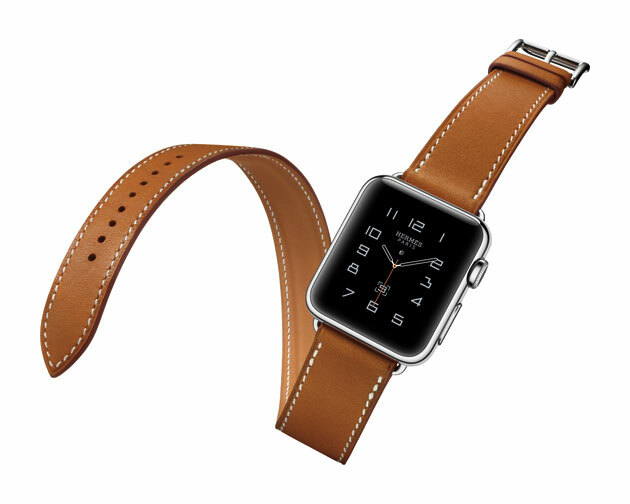 The square-shaped Hermès watch face on the other hand, is reinterpreted by Apple designers in California. One for the annals of design history? Only time will tell.